Derrick Kosinski & Scott Yager are joined by Survivor standout Davie Rickenbacker. In this special BONUS EPISODE of Challenge Mania, Derrick (@DerrickMTV) and Scott (@SHOTOFYAGER) switch it up a bit and bring on someone who has never been on The Challenge. Davie Rickenbacker (@ITweetDavie) IS however a lifelong Challenge fan, and is one of the most well-liked contestants in Survivor history. With Survivor: Edge of Extinction premiering this Wednesday, February 20th, an hour before War of ... See More the Worlds airs on MTV, we thought it would be fun to catch up with Davie, discuss his time on Survivor, how he became a fan of The Challenge, what parallels and differences there are between the two shows and bounce back and forth between the two. For Survivor fans, this episode has tons of inside info on Survivor: David Vs Goliath, where Davie came in 6th place on what was regarded widely as one of the best seasons in the show's recent memory. For Challenge fans, this should still be fun, as Derrick gets introduced to a world he doesn't truly understand and Davie shares memories of his early time as a Challenge viewer and sheds light on the new format of War of the Worlds. 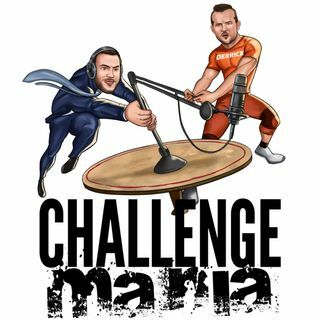 For MORE Challenge Mania and even more Survivor content, head to www.Patreon.com/ChallengeMania where we break down each episode of War of the Worlds in The Warm Room and Scott & Lindsay break down Survivor as well.